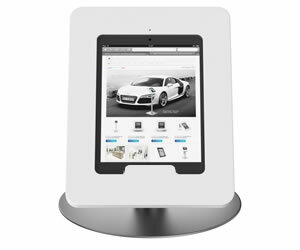 Floor stand with a docking connector for your iPad. 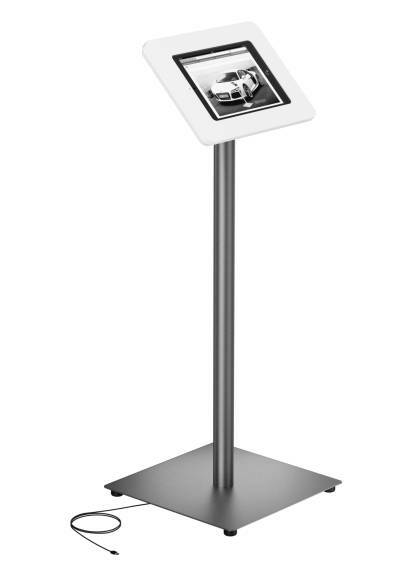 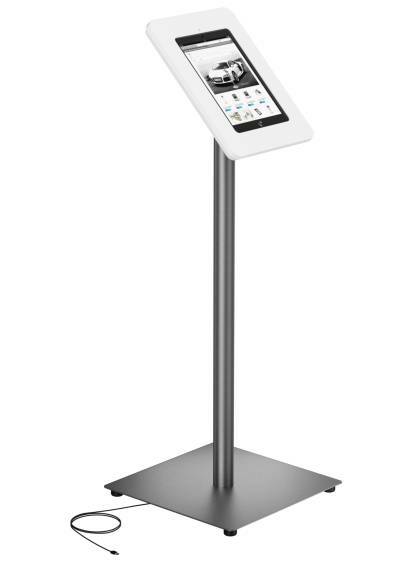 The stand itself is entirely made out of brushed stainless steel with a white Solid Surface top. 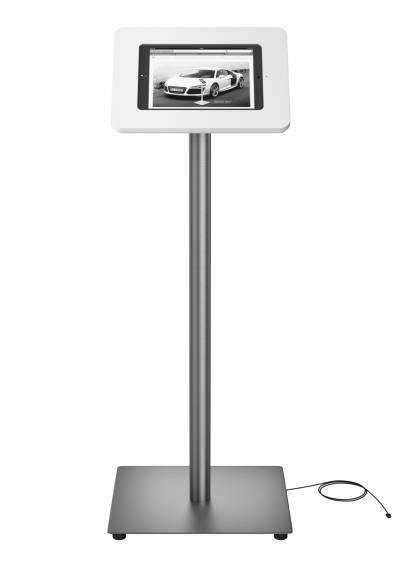 The top can be assembled in portrait or landscape mode.